Midland IRA is a custodian for thousands of different precious metals IRAs. Besides this, they offer a constant and continuously refreshed array of educational materials for IRA accounts. Their educational and record keeping services benefit both novices and professionals. The firm delivers options of flat rate yearly fees as well as sliding scale fees. Midland #6 is ranked on our list of the top 10 IRA custodians of 2019. In the following review we'll cover this custodian's history, management, reputation, products/services, and fees. Midland IRA (www.midlandira.com/) is a Chicago-based IRA administrator and custodian that specializes in helping their clients invest in alternative assets like precious metals within self-directed retirement accounts. The company acts as the qualified trustee (custodian) of thousands of precious metals IRAs. They also provide recordkeeping services and a continual supply of educational material for IRA professionals and investors. The company's Principal is Brandon Stith, an experienced financial services provider with more than 10 years industry experience, a Bachelor of Business Degree in Financial Services, and certification as a Certified IRA Services professional (CISP) from the American Banking Association's Institute of Certified Bankers. The company lists three managers on their Meet Our Team page – Amanda Bermudez, Daniel Hanlon, and Scott Foresman. Note that in the above screenshot you'll see two options for annual fee payment. Most investors choose the first option, which gives them flat-rate annual fee, as opposed to the second option, which gives them a sliding scale fee that could become more expensive in the long-term. How it Works – A basic 5-step guide explaining the process of opening and maintaining an account. Precious Metals – Discusses the benefits of investing in precious metals in an IRA. Why Midland – The benefits of opening a self-directed IRA with Midland IRA. Investing in precious metals within a retirement account isn't a process that should be rushed or downplayed in importance. With most experts recommending an allocation of at least 5%-20% of your retirement investments towards precious metals, this portion of your portfolio may seem like a minority, but it could wind up holding majority importance in the event of another recession or global financial crisis. A self-directed IRA gives you the freedom to invest some of your retirement savings in a variety of alternative instruments, including precious metals. However, not all self-directed IRAs are the same, so setting up an account and purchasing IRA-eligible bullion for it is not always as straightforward as it might seems. To avoid the hassle and expense of paying unnecessary fees and enduring a complicated setup and administration process, we suggest you thoroughly compare the top precious metals companies and IRA custodians before making a buying decision. 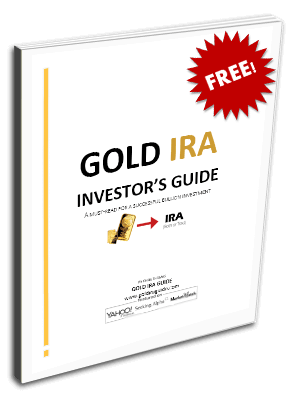 Fortunately, we've made it easy fro anyone to conduct their own research from our Top 70 Gold IRA Companies of 2019 and Top 10 IRA Custodians of 2019 lists. If you're an owner, representative, or associate of Midland IRA and you've noticed any information within this review that is inaccurate or outdated, please do contact us with your concerns. We strive to provide the most accurate and up-to-date reviews on an ongoing basis. The educational materials offered give this company a client-centric appeal. They provide both sliding scale and flat fee yearly charge options. Their focus is on both novice and professional level investors. They do not offer as many investment classes and choices as some larger rivals.